From 18 March – 28 April 2016, the Museum of London will be examining London’s place in gaming culture with a new temporary display and offering visitors the chance to play four classic video games from the 1980s and 1990s. The display will trace the city’s journey from the early text-based adventure games where everything was described in words and gamers used their imagination and experience to navigate the virtual world, to its first graphic representations, and finally its more modern and accurate representations in games such as Sim City 3000 and London Racer which offer an almost cinematic experience to the player. The four games, played on specially emulated computers, will be the 1982’s text-based Streets of London (the very first video game to depict London), 1984’s cult classic Hampstead, 1989’s Werewolves in London (one of the earliest visual depictions of London in a video game) and 1996’s Broken Sword II: The Smoking Mirror (the first video game with actual interaction with a London landmark). By playing these games visitors will be able to see not only how video games have advanced in the past 35 years but also how basic representations of London in text-based games on consoles such as the Commodore 64 and Spectrum ZX evolved into more recognisable depictions of the city by the 1990s on more modern platforms like Windows 9x. 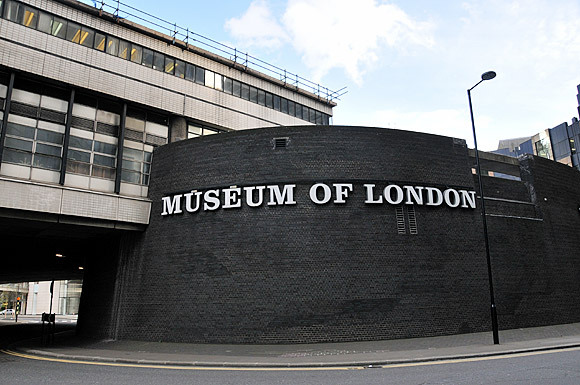 As part of the London Games Festival (1-10 April), the Museum of London will also be hosting the Games Culture Summit at 3pm on Friday 8 April. The Summit will bring together leading cultural institutions and creative leaders to look at a variety of issues including how galleries and museums curate, collect and archive games. This entry was posted in 2, Developer, game, games, Games Developer, job, Jobs, train, train 2 game, Train2Game, www.train2game-news.co.uk and tagged 2, Exhibition, game, Games design, Games Developer, games industry, gaming, London, Museum of London, train, Train2Game by Train2Game Blogger Team. Bookmark the permalink.